Merry Christmas to all my readers and followers! Christmas Day, for the majority of people from countries with a Christian tradition is celebrated on December 25. 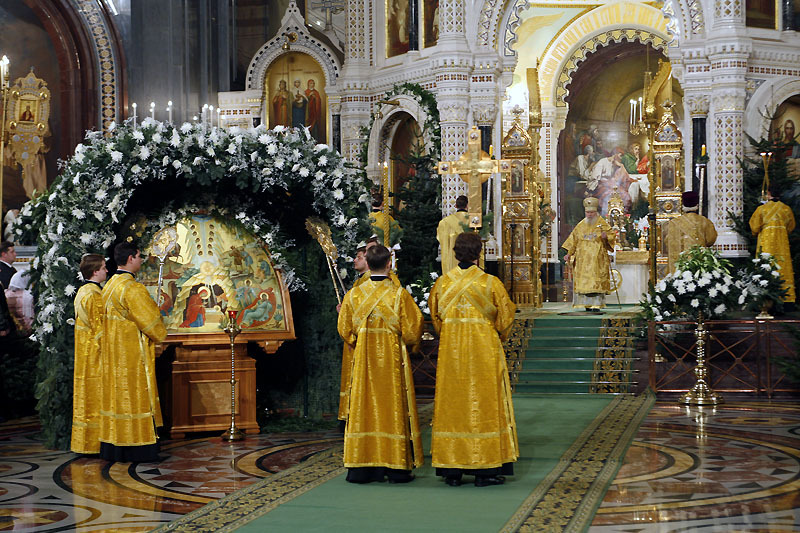 However, followers of the Orthodox church generally celebrate Christmas Day on January 7. The reasons for this difference are interesting and, as I’ll discuss further in this post, are more to do with the role of the church in society than with science. Astronomers call the amount of time that the Sun takes to return to exactly the same position in the cycle of the seasons a solar year. This period has been accurately measured as 365.2421897 days, to the nearest 7 decimal places. Because a solar year is slightly longer than 365 days, if we were to use a calendar where every year always had exactly 365 days, then the calendar year would slowly run ahead of the solar year at the rate of slightly less than a quarter of a day per year. In about 400 years the seasons would have drifted by about 97 days. So (in the northern hemisphere), the start of Spring would be at the end of June, the summer solstice, the day with the most daylight, would be at the end of September and the autumn (or fall) equinox would be at the end of December. 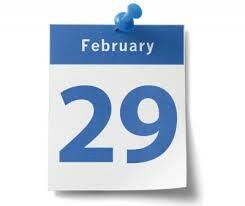 To prevent this happening we add an extra day (February 29) every four years, calling it a leap year. This is the basis of the Julian calendar, named after Julius Caesar, who introduced it in the year 45 BCE, which was used by all Christian countries until 1582. However, if we always have a leap every four years, this will result in a year which is on average 365.25 days long, which is slightly longer than the length of the solar year. This slight over correction will cause the calendar to drift backwards gradually from the natural calendar by 7.8 days per 1000 years . Between 325, when the Julian calendar was first used by the church to define the date of Easter and 1582, the calendar had drifted back by 10 days. So the spring equinox, the first day of Spring, when the day and night are roughly 12 hours long, was on March 11 (whereas in 325 it had been on March 21), the day which had the most daylight was Jun 11 and the shortest day was December 11. The spring equinox is used to calculate Easter (see note 1) so the date range on which Easter could fall had drifted back by 10 days. To prevent the calendar used by the church from drifting any further from the seasons, in 1582 Pope Gregory XIII introduced a refinement where a century year (e.g. 1600, 1700, 1900, 2000, 2100) could only be a leap year if it was divisible by 400. So 1700, 1800, 1900 would not be not leap years, but 1600 and 2000 would be. He also proposed that the calendar be brought back in line with the seasons so the spring equinox would once again fall on March 21. This required that 10 days be omitted when moving from the old to the new calendar. Pope Gregory’s calendar, which is the one that nearly every country in the world uses today, is called the Gregorian calendar. On average each year is 365.2425 days, which is very close to the length of the solar year. However, the Protestant and Orthodox countries in Europe refused to adopt the Gregorian calendar initially, feeling that it was a plot by the Catholic church to impose its power over non-Catholic countries. This caused confusion over dates when some countries had converted to the Gregorian Calendar and other countries still used the Julian Calendar. Conventions such as 10/20 February 1667 were used to indicate that an event took place on 10 February 1667 in the Julian Calendar, which was the same day as 20 February 1667 in the Gregorian Calendar. Eventually, all the Protestant countries switched over to the Gregorian Calendar. 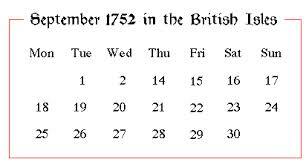 In particular, Great Britain and its colonies, which at the time included America, adopted the Gregorian calendar on Wednesday 2 September 1752, which was followed by Thursday 14 September 1752. The eleven days from 3 September to 13 September were missed out. According to some accounts rioters took to the streets, demanding that the government “give us back our 11 days.” In America, meanwhile, Benjamin Franklin (1705-1790) took a more positive view of the phenomenon and wrote that “it is pleasant for an old man to be able to go to bed on September 2, and not have to get up until September 14”. The Orthodox countries of Eastern Europe were even slower to adopt the Gregorian Calendar. The Soviet Union didn’t adopt it until after the revolution in 1918 and Greece didn’t adopt until 1923. Interestingly, even though all the Orthodox countries have adopted it for civil purposes, most Orthodox churches still use the Julian Calendar and will not accept a calendar which they see as being imposed by the Catholic Church. Although Orthodox Christians do celebrate their Christmas on the day marked December 25 on their calendars, they are celebrating on a completely different day to the rest of the Christian world, as it is actually January 7 in the Gregorian Calendar. Nearly all countries outside Europe and America use the Gregorian Calendar for administrative purposes, often alongside a more traditional calendar. For example, China uses the Gregorian Calendar for public or business affairs such as most national holidays, but uses the traditional Chinese calendar, in which years have names rather than numbers, as well. In the Chinese calendar there can be 353, 354, 355 383, 384, or 385 days in a year and the first day of the new year occurs in late January or February. 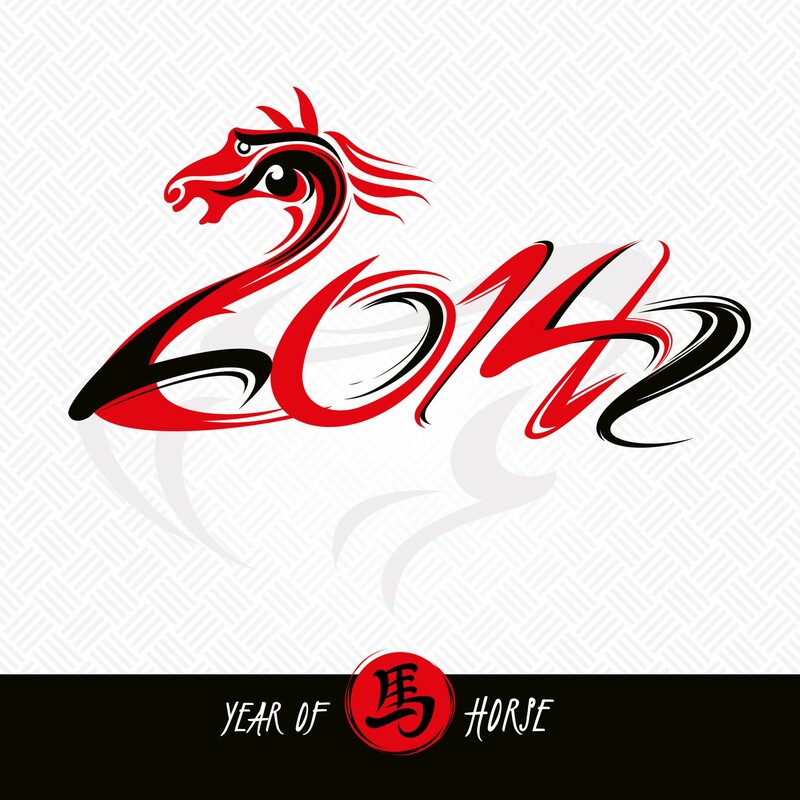 The current year runs from 31 Jan 2014 to 18 Feb 2015 and is the Year of the Horse. What will happen in the future ? The Julian Calendar is slowly drifting away from the Gregorian Calendar at the rate of 7.8 days per thousand years, so if the Orthodox church doesn’t adopt the Gregorian calendar then date of Orthodox Christmas will slowly get later and later. In 2,000 years time Orthodox Christians would be celebrating Christmas on around January 23 (in the Gregorian Calendar) and in 10,000 years time they would be celebrating Christmas at the end of March. Another point is that the average length of a year in the Gregorian calendar isn’t exactly equal to a solar year. It is very slightly longer, causing the calendar to drift backwards gradually by roughly 1 day per 3200 years from the solar calendar. To bring the Gregorian calendar into line with the solar calendar it will be necessary to omit a day every few thousand years. The numbers of days in a year is actually gradually changing. These changes will only be noticeable over timescales of hundred of thousands of years, assuming that humanity is still around to observe them. Firstly, the Earth is slowly moving away from the Sun at the rate of 15 cm per year. There are a number of causes, and I will say more about why this is happening in a future post, but one reason is that as the Sun burns up its fuel it gets lighter and grips the Earth less tightly with its gravity. As the Earth moves away from the Sun, the basic laws of physics means that it must orbit more slowly, meaning that the year gets slightly longer. Mars is roughly 50% further from the Sun than the Earth on average. 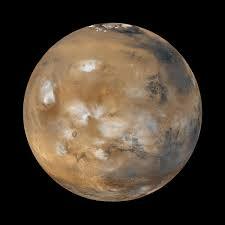 On a Mars a year lasts 689 days. As Earth moves further away from the sun, and moves more slowly in its orbit, the length of a year will increase. In 1,000,000 years time, assuming that the Earth continues to spiral away from the Sun at the same rate, it will be 150 km further away from Sun than it is now and a solar year will be 0.00015 % longer than it is today. Secondly, as readers of my earlier post “The Days are Getting Longer” will know, the Earth’s rotation is gradually slowing down as its energy is transferred to the Moon, causing the Moon to slowly spiral away. This causes the length of a mean solar day to increase at an average 0.0023 seconds per century. In 1,000,000 years time a day will last 24 hours 23 seconds, about 0.027 % longer than it is today. The net effect is that, in 1,000,000 years time, even though the year will be very slightly longer, there will be slightly fewer “days” in a solar year, 365.145 to three decimal places. So in 1,000,000 years time, assuming humanity is still around and is still using the Gregorian Calendar, we shall only need to have a leap year every seven years. On that final note I’ll sign off for the year and wish you all a healthy and happy 2015 !! Easter is defined as the first Sunday after the first full moon falling on or after the spring equinox. As the spring equinox is usually taken to be 21 March*, the earliest date Easter can fall on is 22 March and the latest is 25 April. In the late 16th century before Pope Gregory’s reforms the spring equinox was on 11 March, so the date range for Easter was 12 March to 15 April. 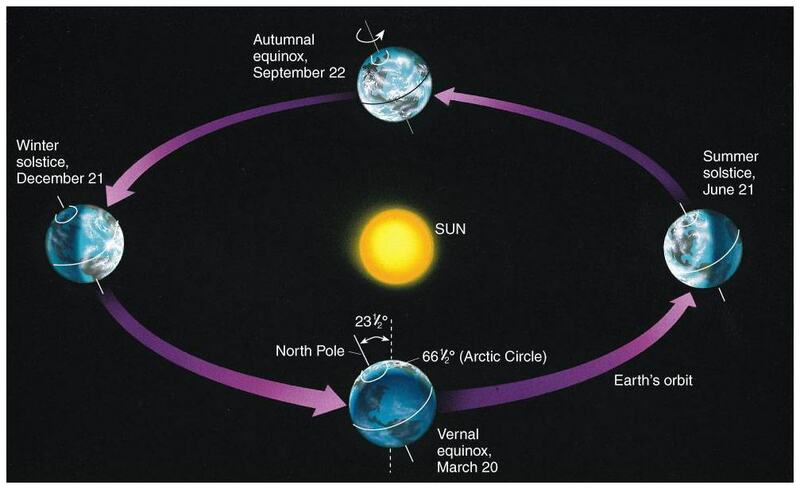 * Strictly speaking the spring equinox generally falls on March 20 not March 21, and the fall equinox occurs on September 22 or September 23 not September 21. I’ll say more about this in a future post. Interesting! Thanks for the like and Happy New Year! A fascinating, detailed account, combining science and history with impressive flair. This is an especially interesting topic to me, as my wife and I come from eastern orthodox and protestant backgrounds. Well done! Thank you for your kind comment. I’m glad you found the post interesting.